A local man accused of embezzling funds from a local business appeared Tuesday in Moffat County Court for an arraignment. 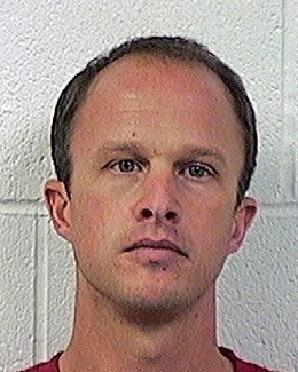 Craig Reuer, 36, of Craig, is charged in Moffat County Court with theft in excess of $20,000, a Class 3 felony; identity theft, a Class 4 felony; and forgery, a Class 5 felony. The alleged crimes took place while Reuer was employed at Tri-State Equipment Company, LLC, 3025 W. Victory Way. Moffat County Court Judge Sandra Gardner presided over Tuesday’s arraignment. In addition to explaining to Reuer his rights, Gardner also outlined Colorado’s presumptive sentencing guidelines for each of the three charges. According to Colorado Revised Statutes a Class 3 felony theft conviction could carry a presumptive penalty of four to 12 years in prison, five years of mandatory parole, $3,000 to $750,000 in fines and restitution to the alleged victims. A Class 4 felony identity theft conviction could result in a presumptive penalty of two to six years in prison, three years of mandatory parole and fines of $2,000 to $500,000. A Class 5 felony forgery conviction could yield a presumptive penalty of one to three years in prison, two years of mandatory parole and fines of $1,000 to $100,000. Reuer has no previous criminal history, according to court records, which could make him eligible for alternative sentences that would not include prison time should he be convicted at trial or if he successfully negotiates a plea bargain agreement with the 14th Judicial District Attorney’s Office. Among some of Reuer’s potential alternatives to a prison sentence are probation or other rehabilitation programs offered through community corrections, Gardner said. Reuer was being held at the Moffat County Public Safety Center on a $20,000 bond, but bonded out of jail before his arraignment, Craig Police Department officials said Tuesday. Reuer is scheduled to return to Moffat County Court at 10 a.m. Dec. 10 for a review hearing.